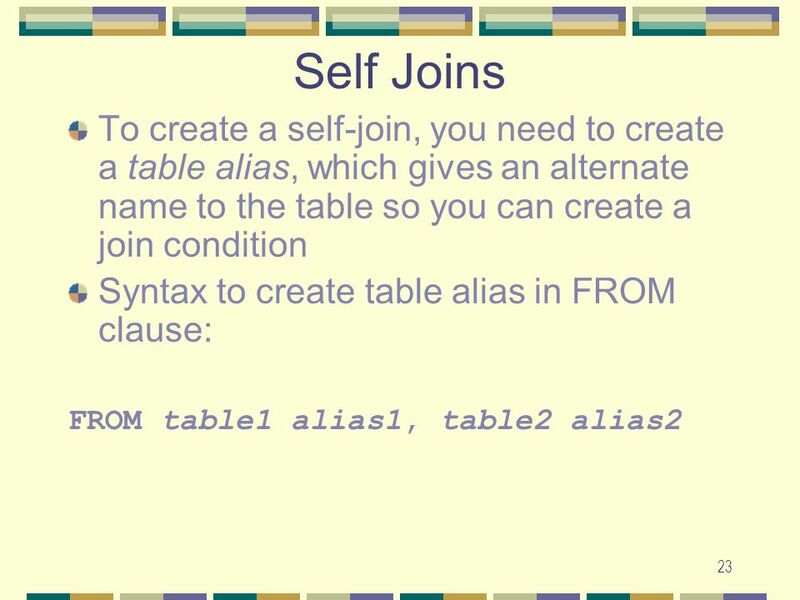 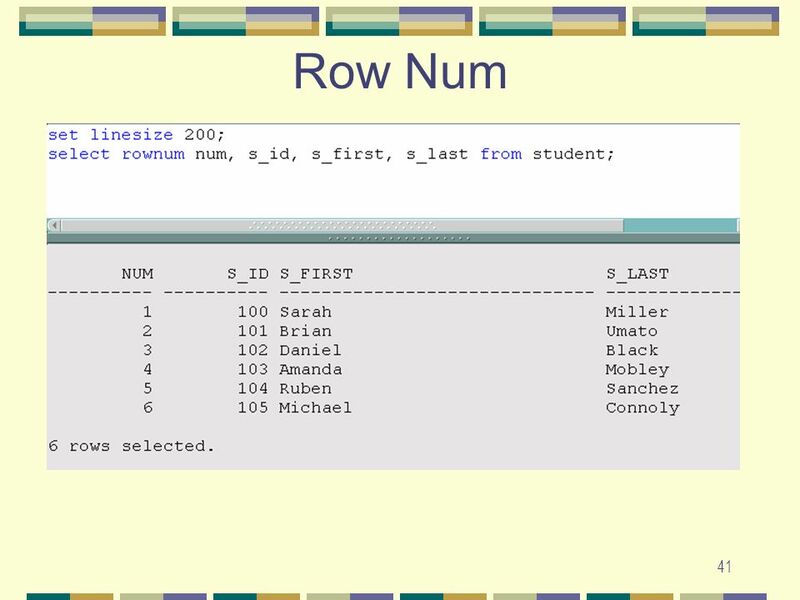 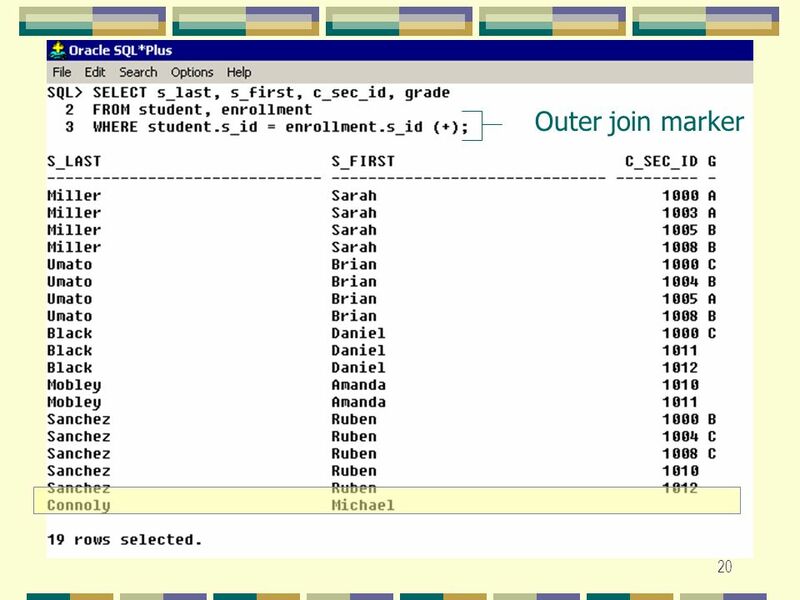 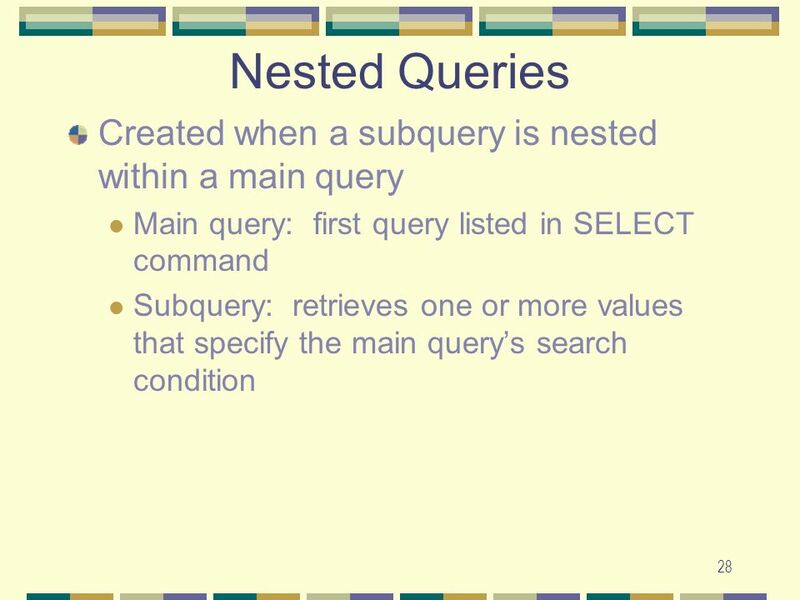 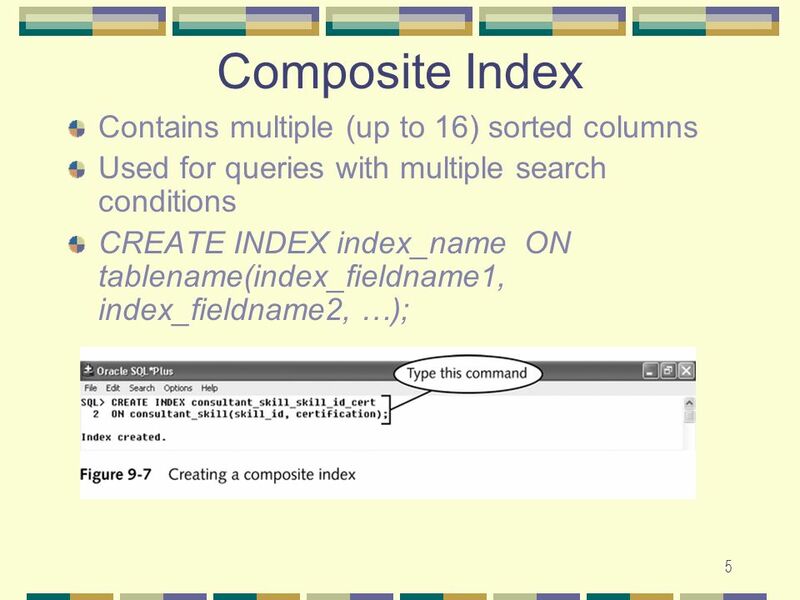 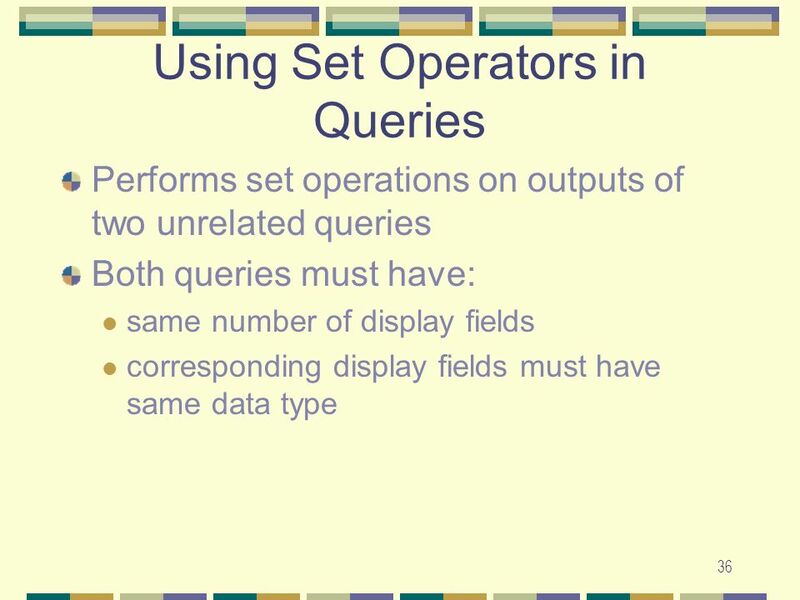 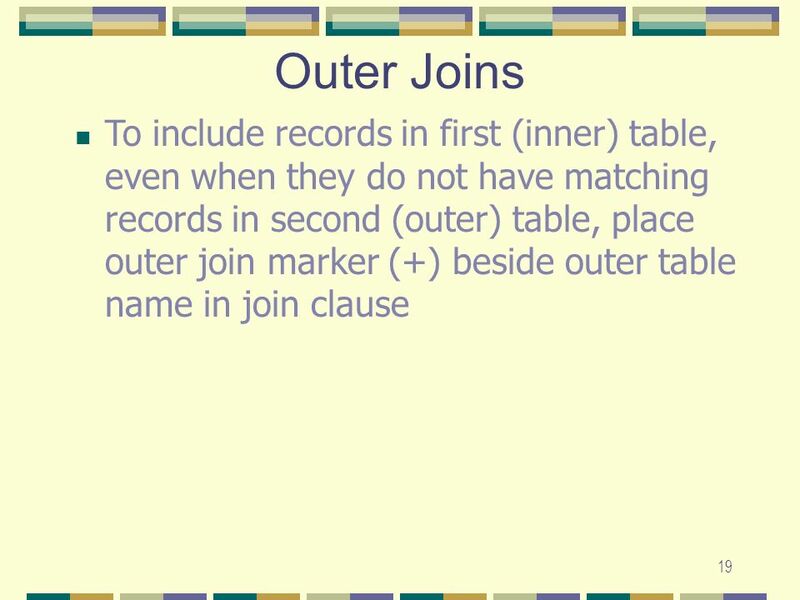 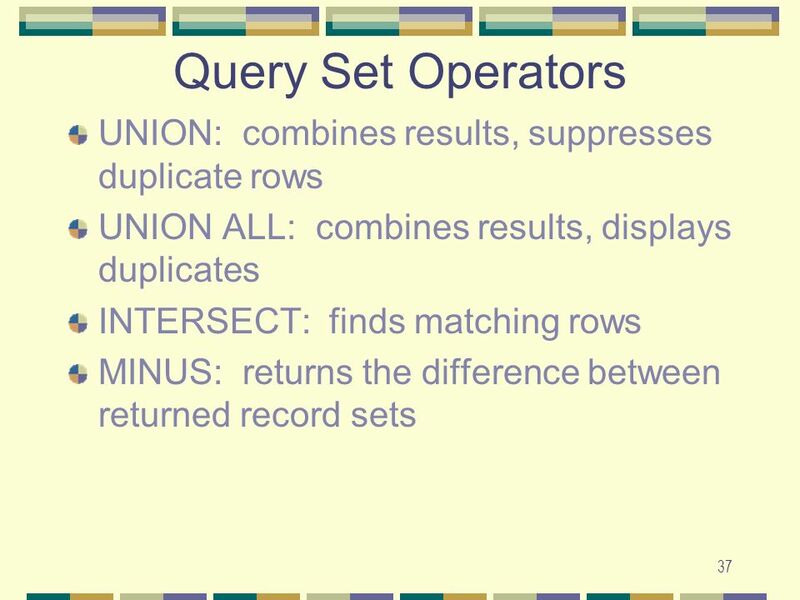 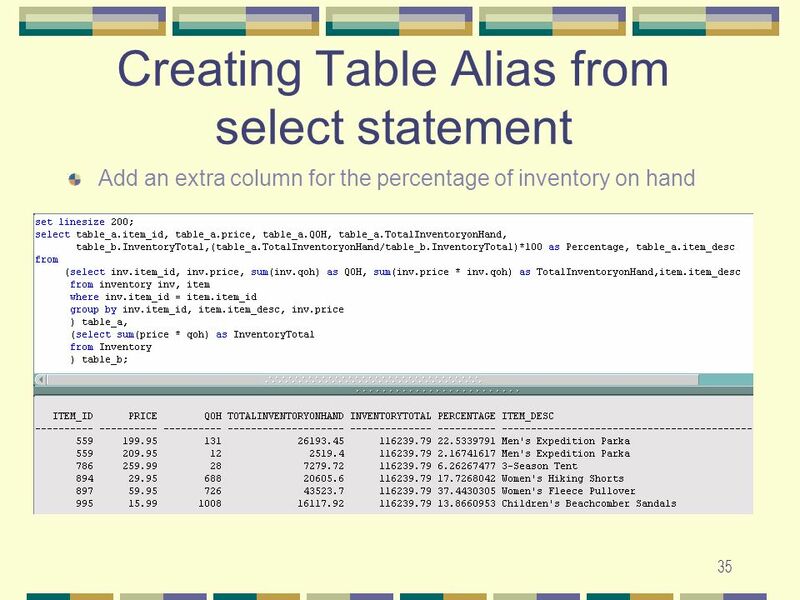 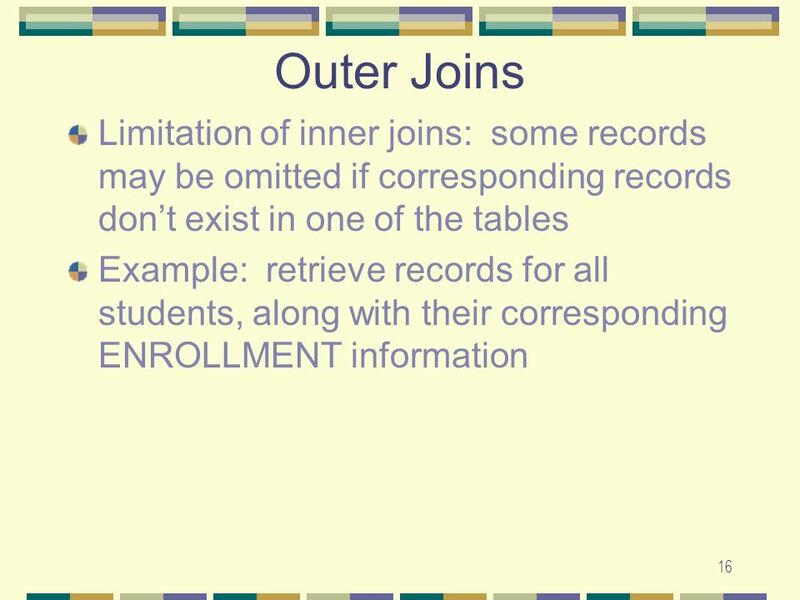 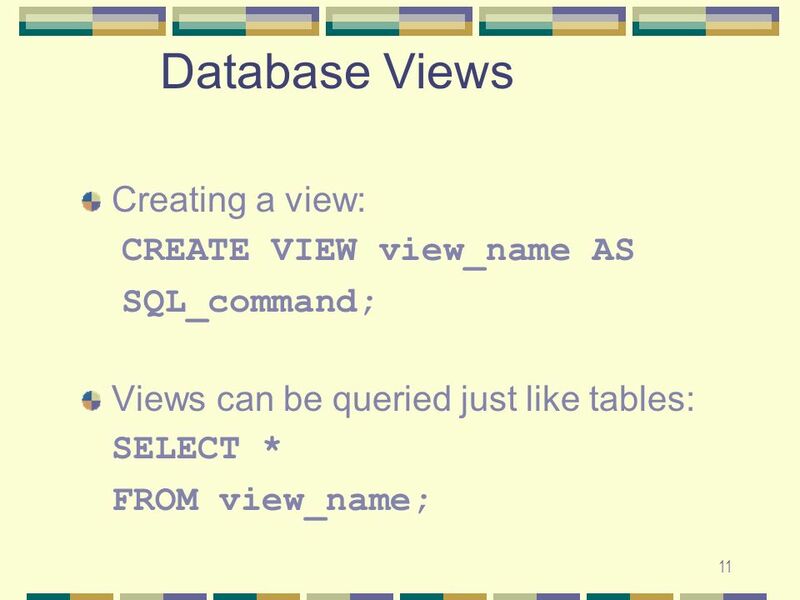 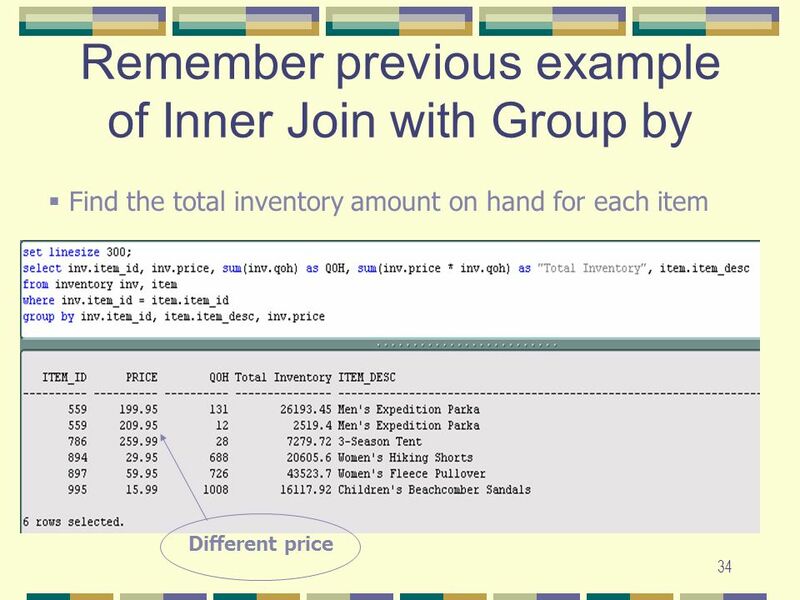 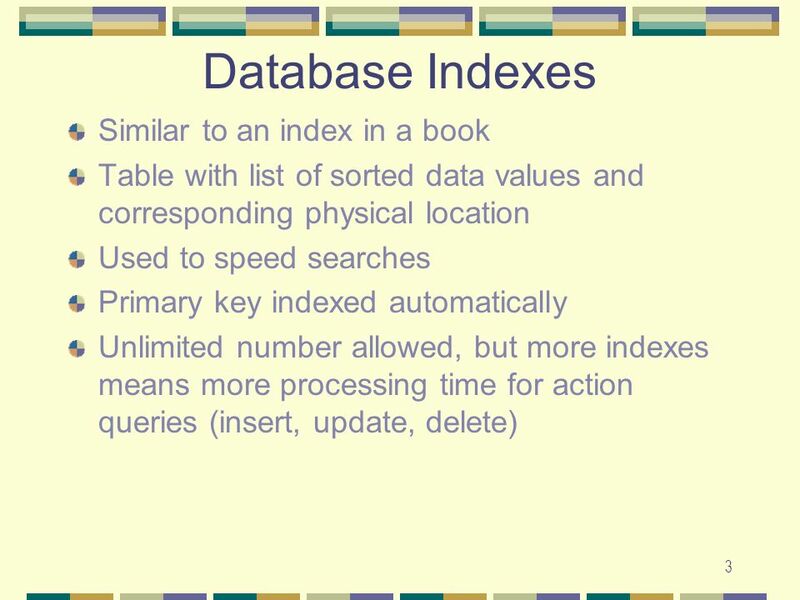 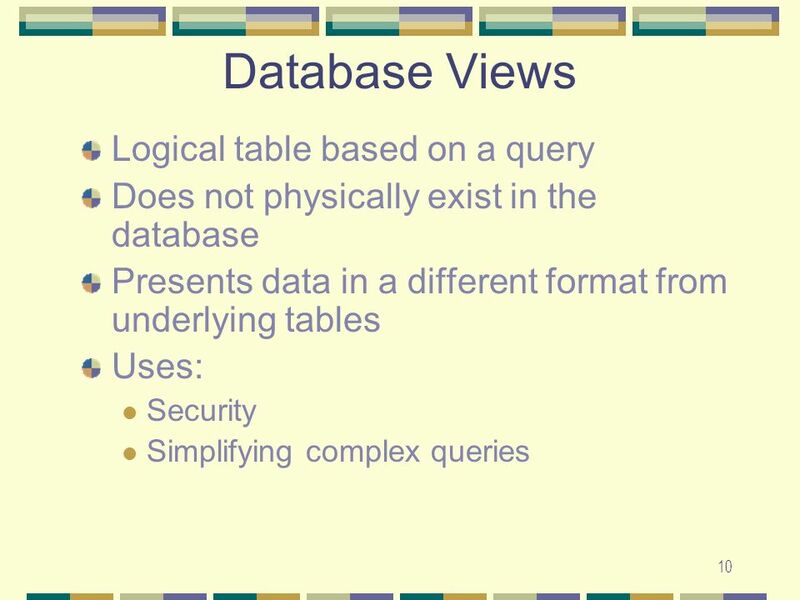 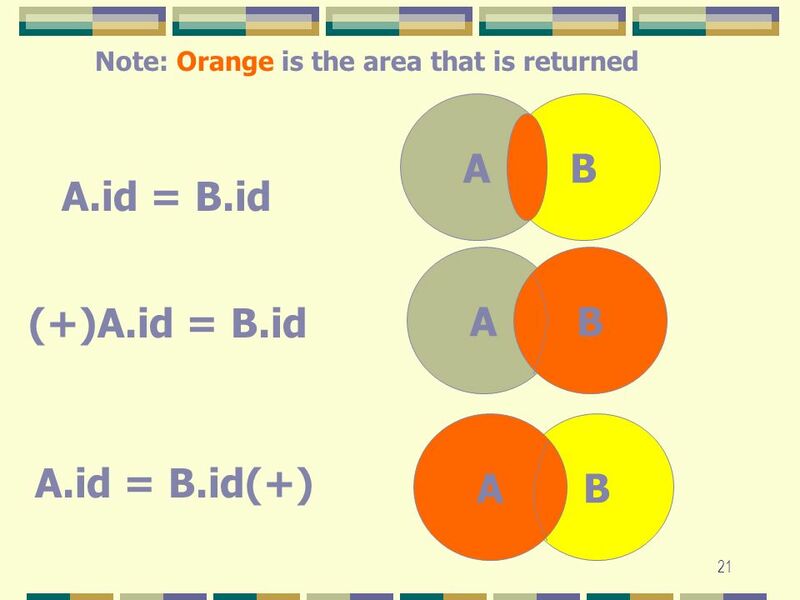 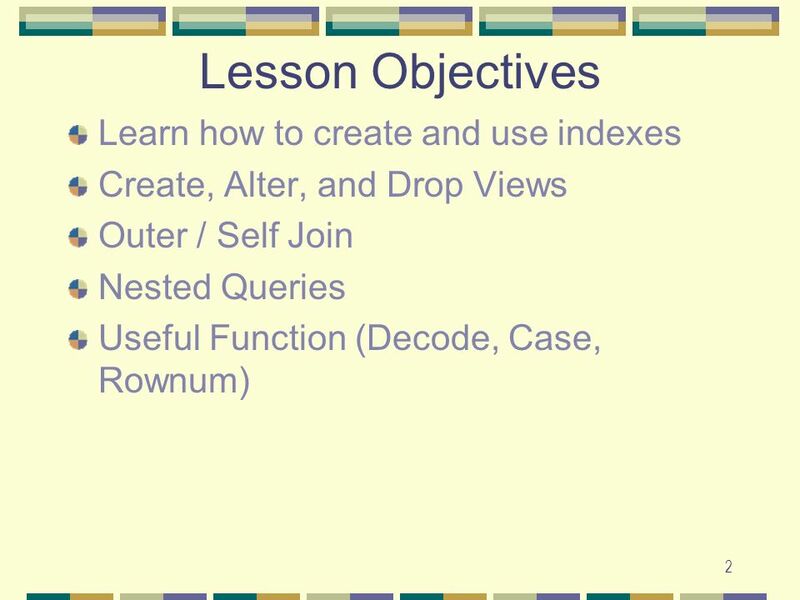 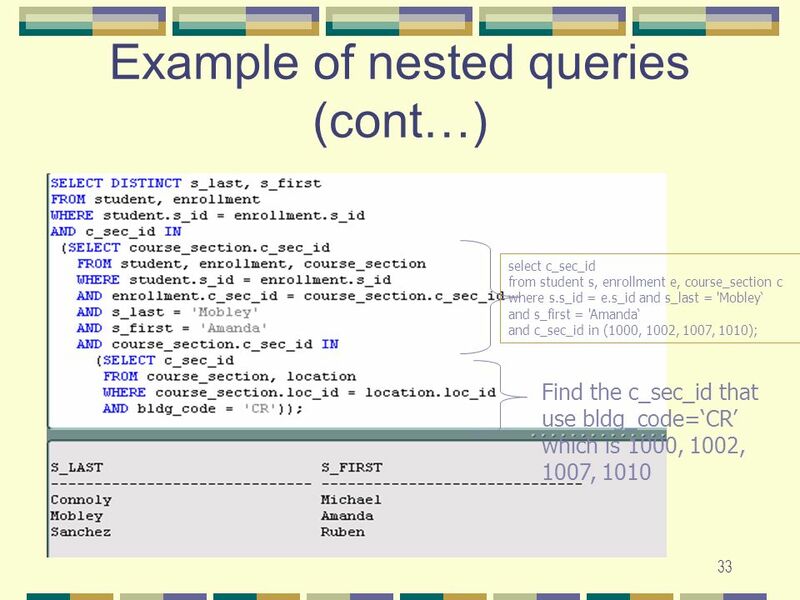 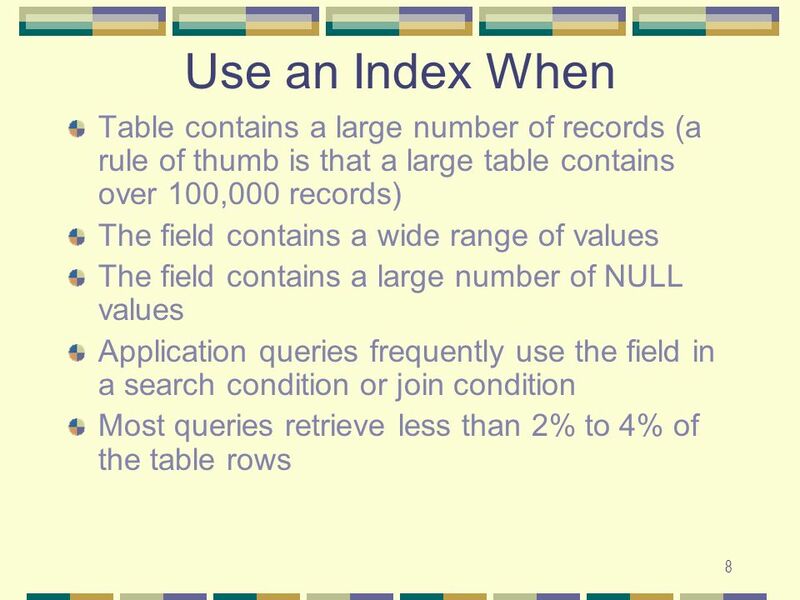 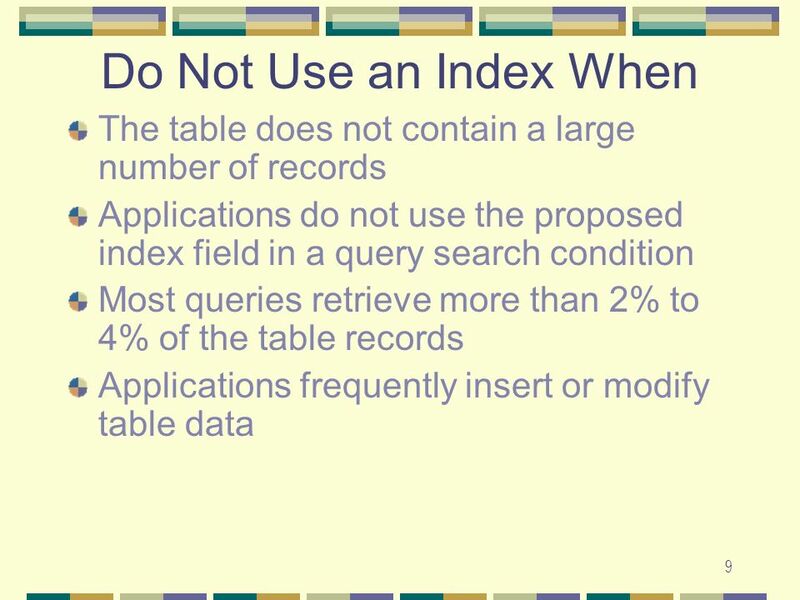 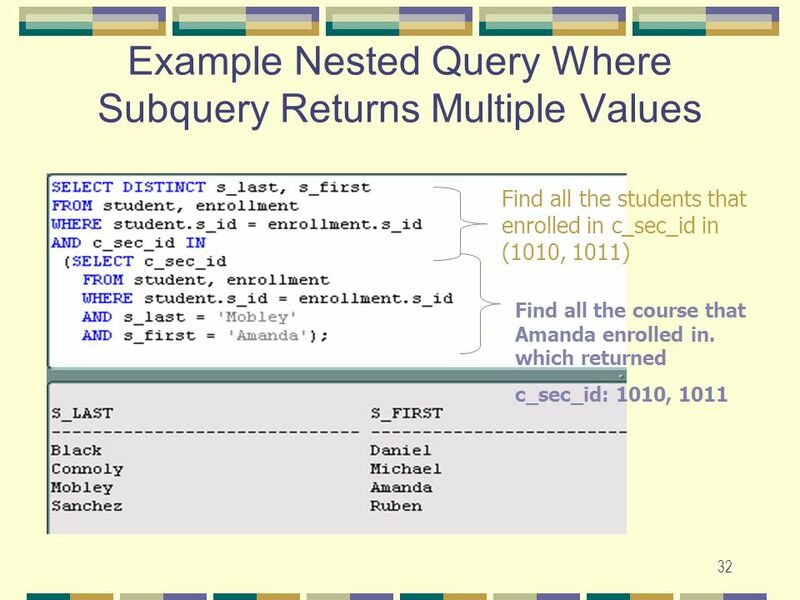 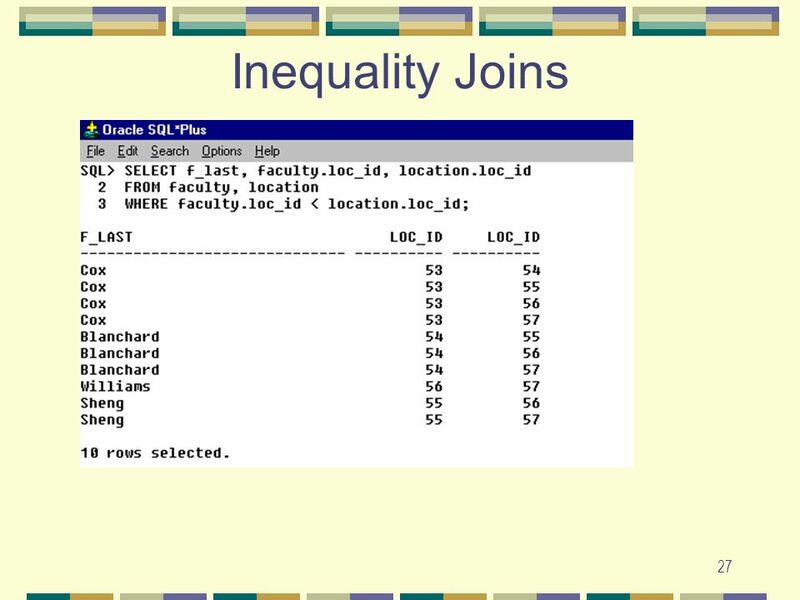 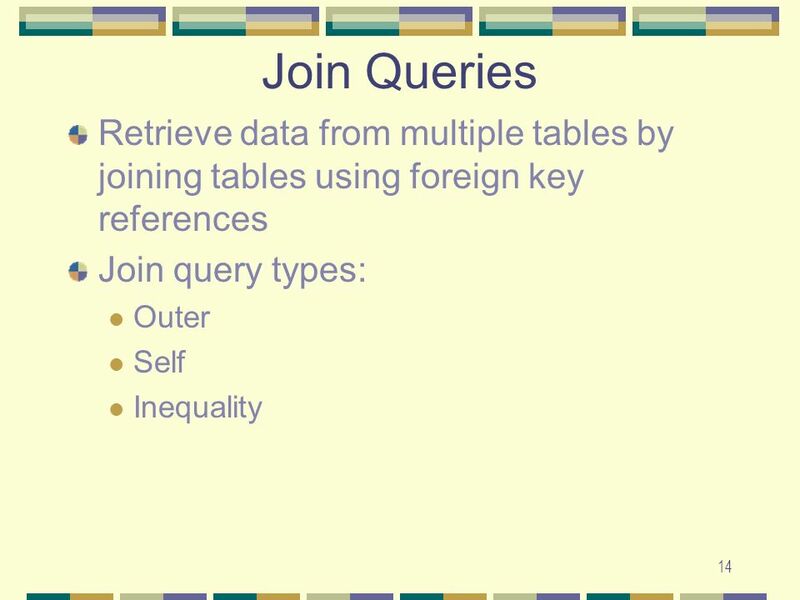 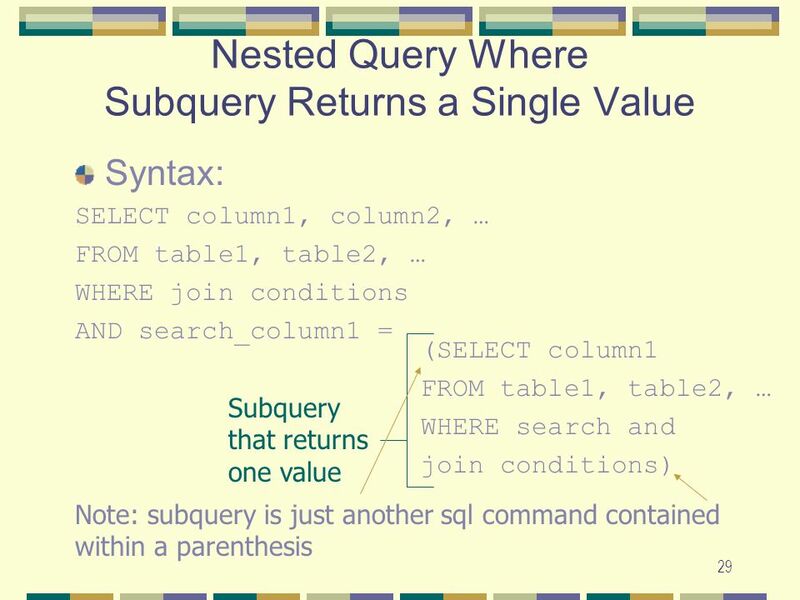 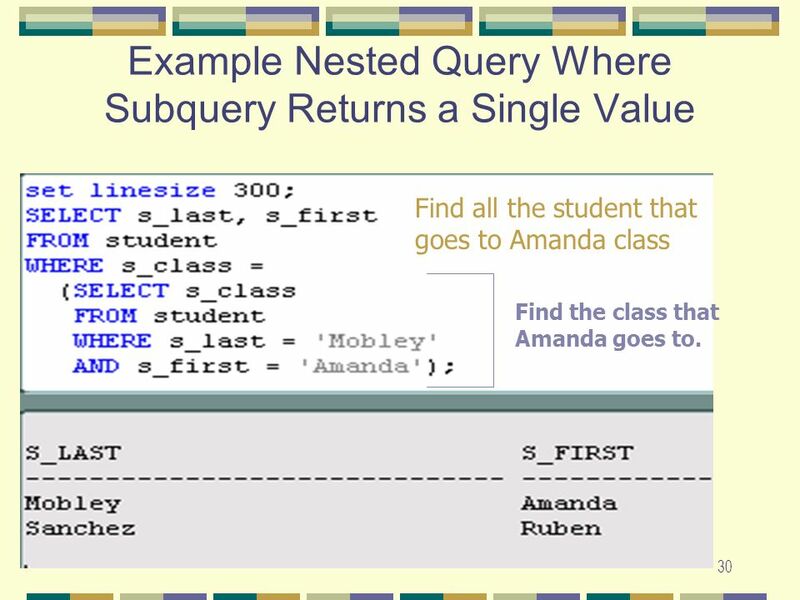 Advanced SQL Topics Edward Wu. 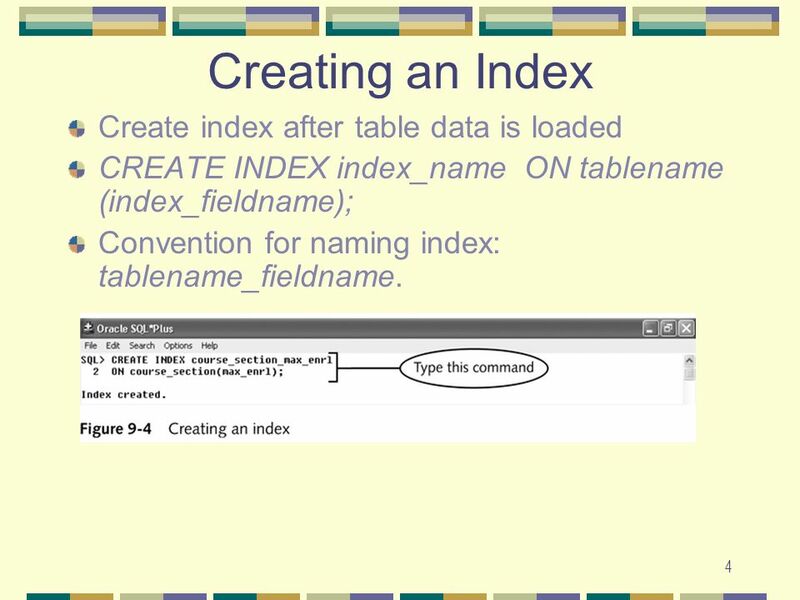 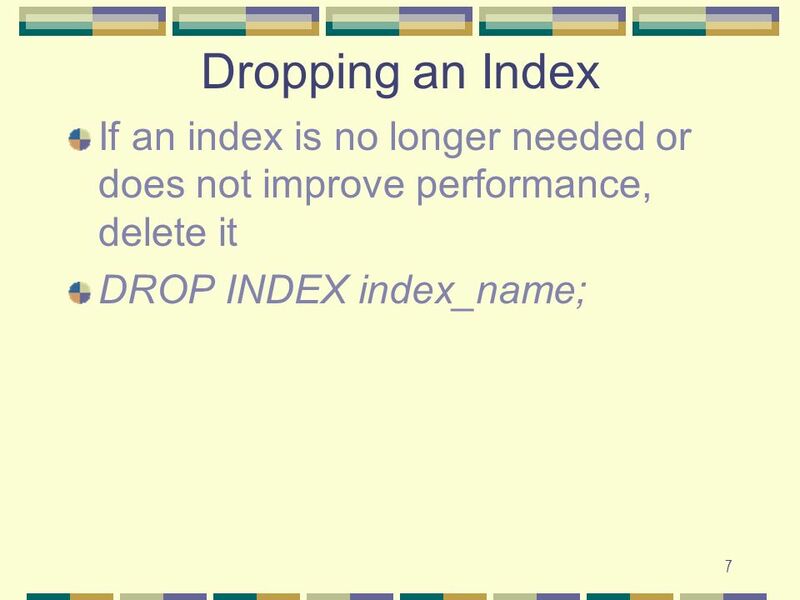 CREATE INDEX index_name ON tablename (index_fieldname); Convention for naming index: tablename_fieldname. 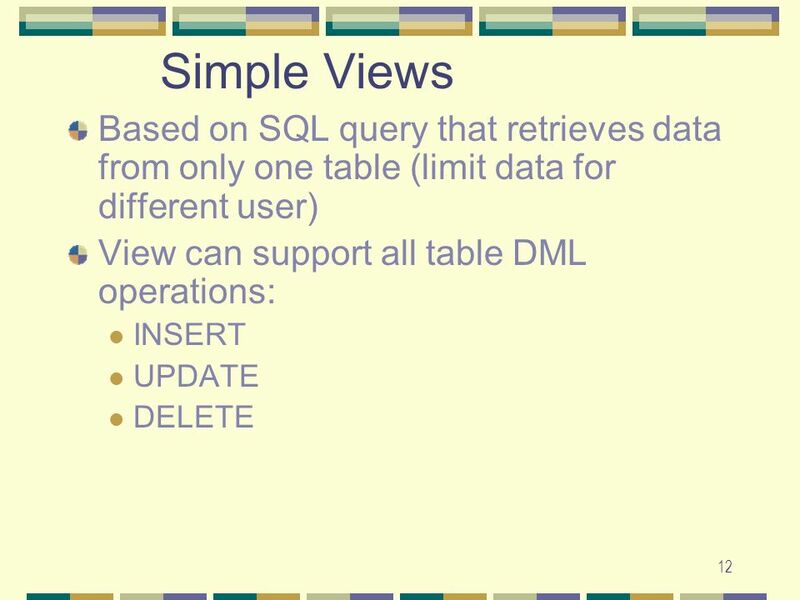 Can only be used to support SELECT operations No DML operations supported For reporting purposes. 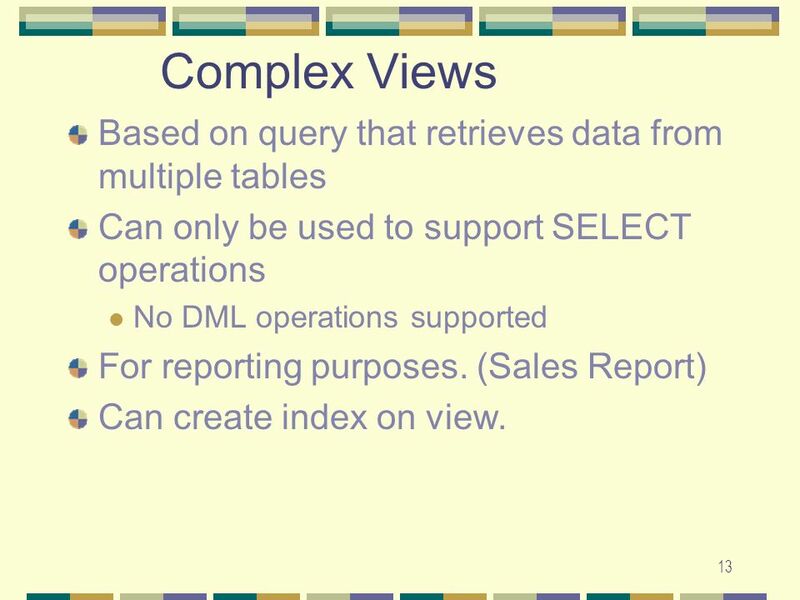 (Sales Report) Can create index on view. 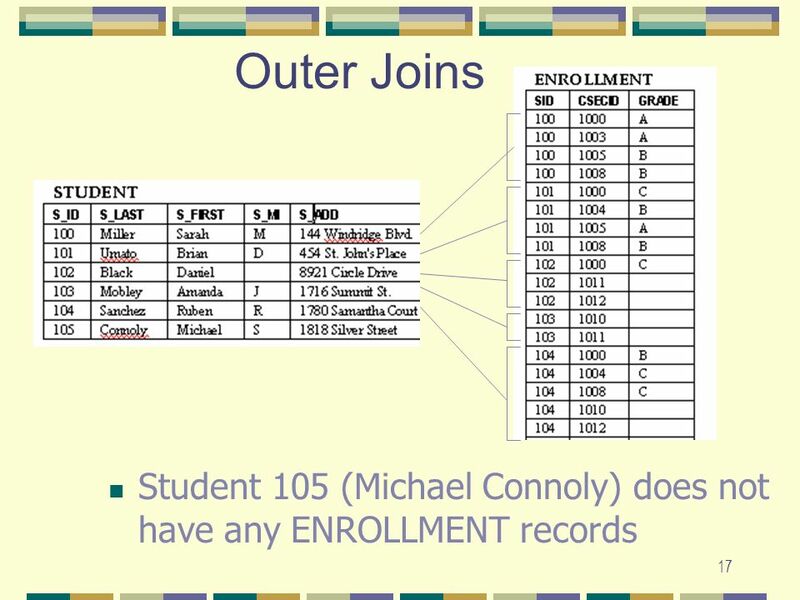 Find all the student that goes to Amanda class Find the class that Amanda goes to. 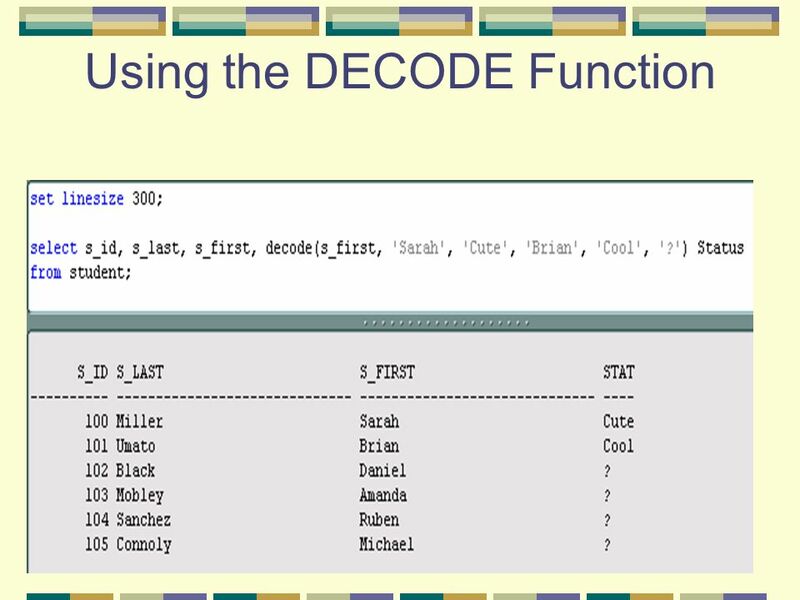 39 The Decode Function The DECODE function decodes an expression in a way similar to the IF-THEN-ELSE logic used in various languages. 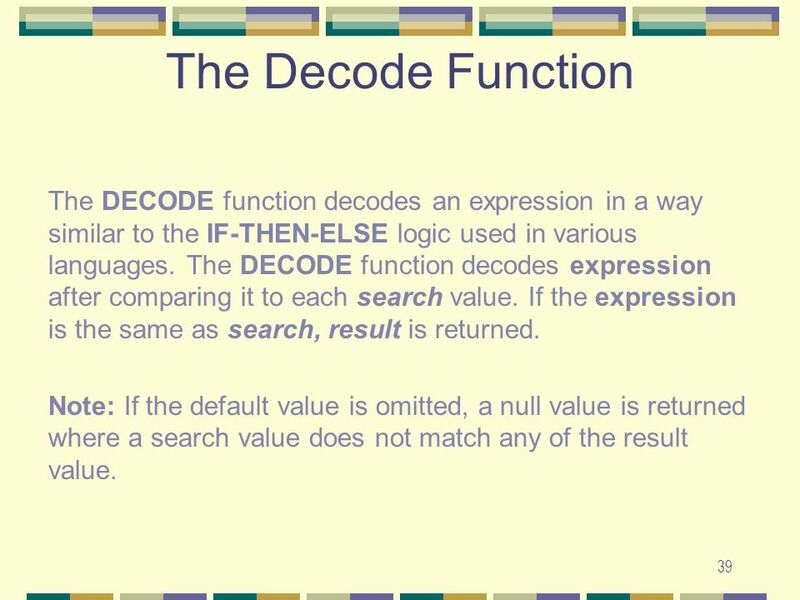 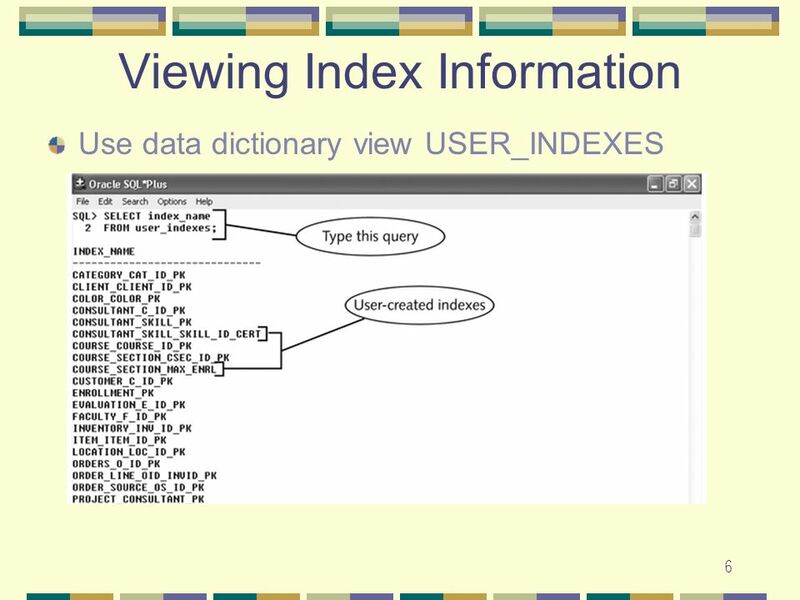 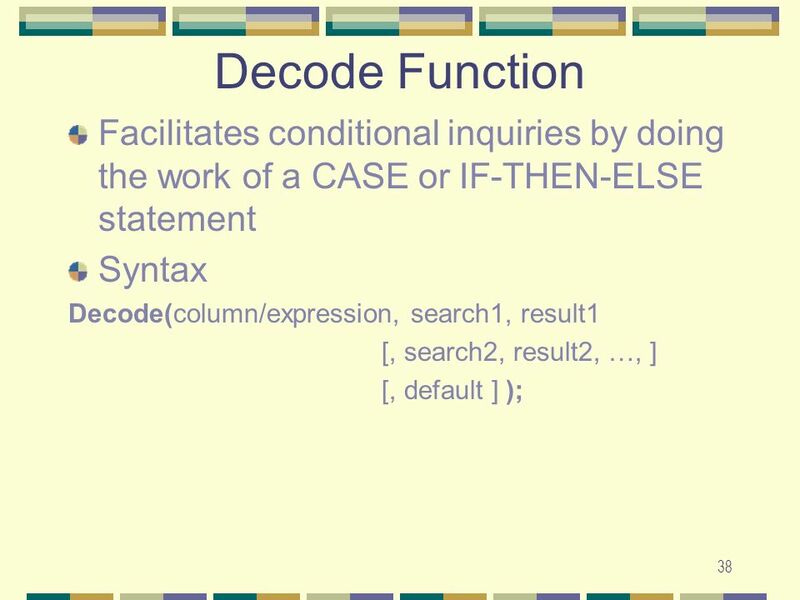 The DECODE function decodes expression after comparing it to each search value. 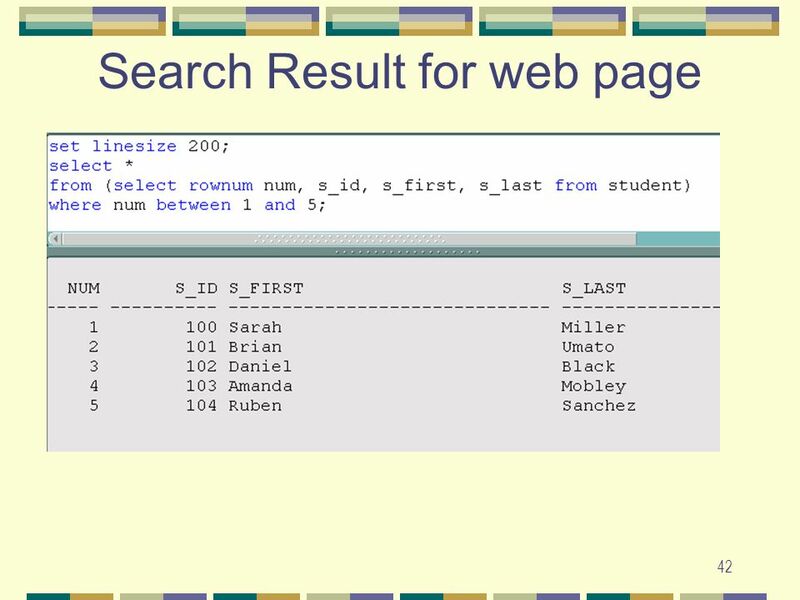 If the expression is the same as search, result is returned. 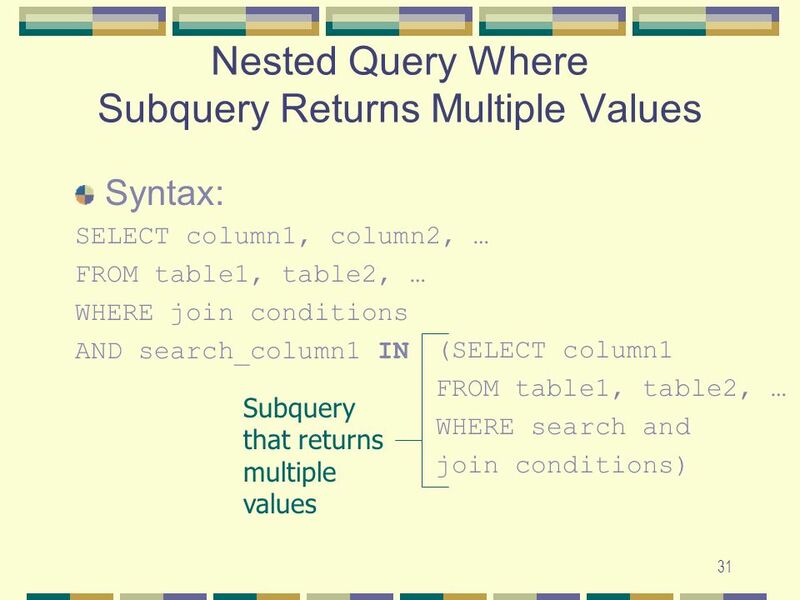 Note: If the default value is omitted, a null value is returned where a search value does not match any of the result value. 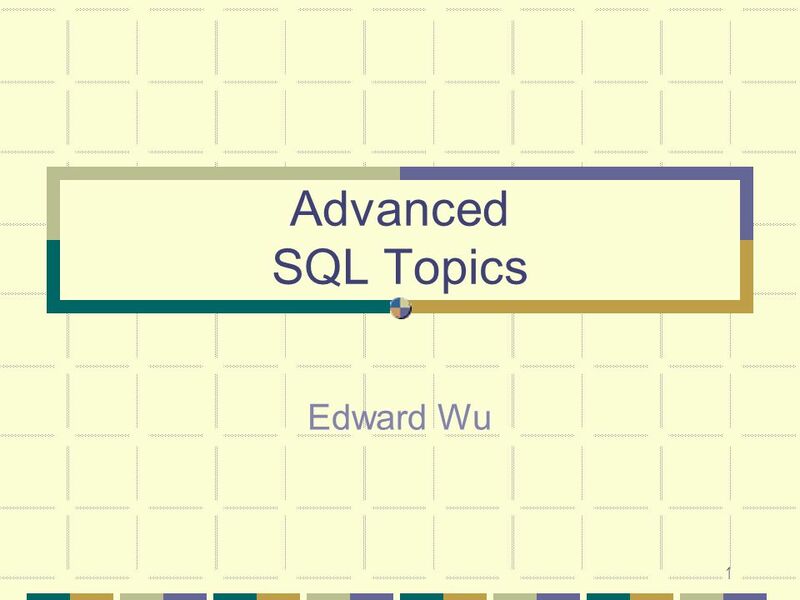 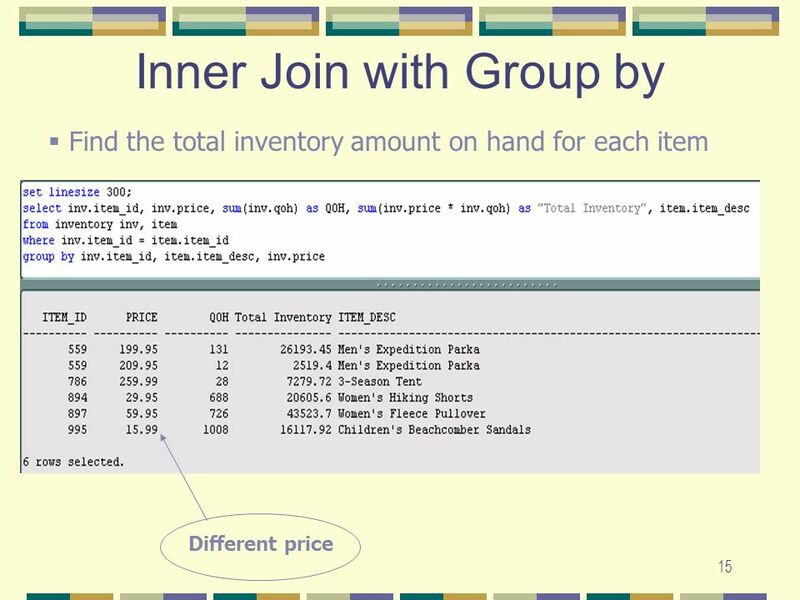 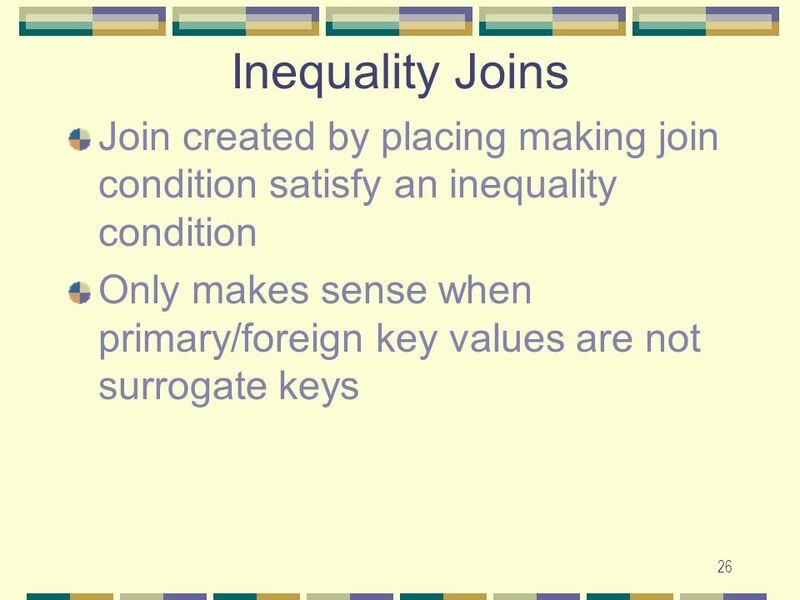 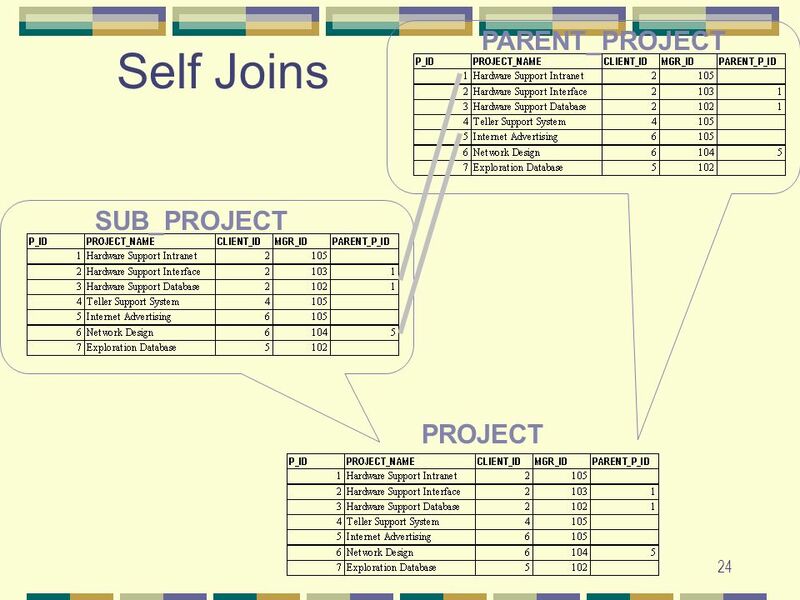 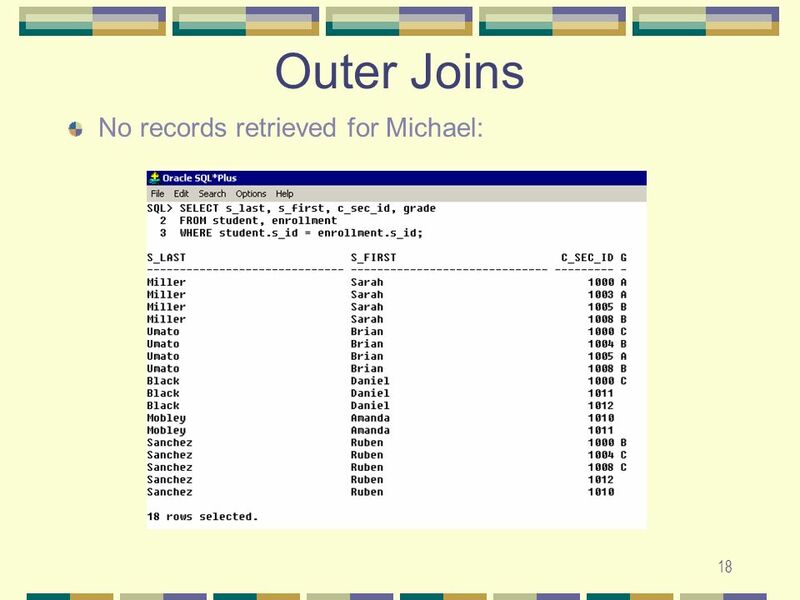 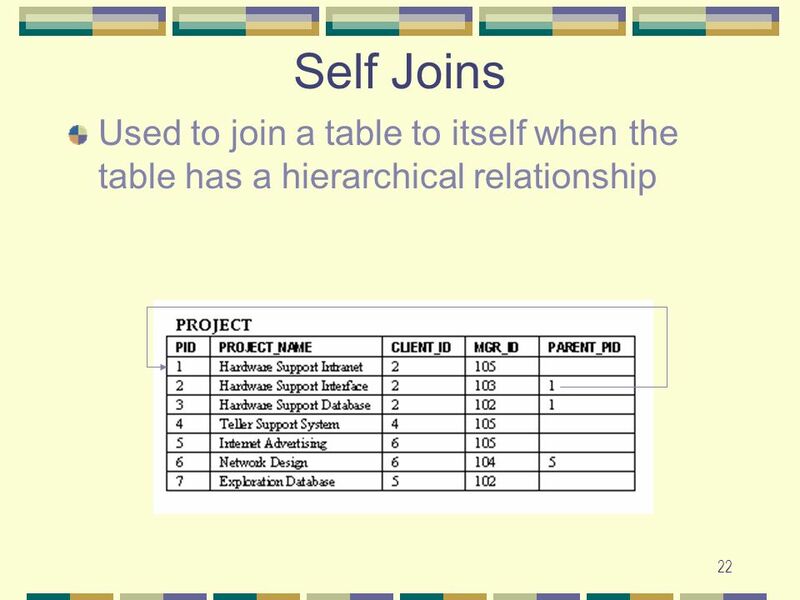 Download ppt "Advanced SQL Topics Edward Wu."